Trying to figure out the planting bed plan, too. Herbs do well in raised beds. On the one hand, a raised bed could help minimize pooled water in the bed during heavy rains - especially if the sidewalk slopes towards the bed. 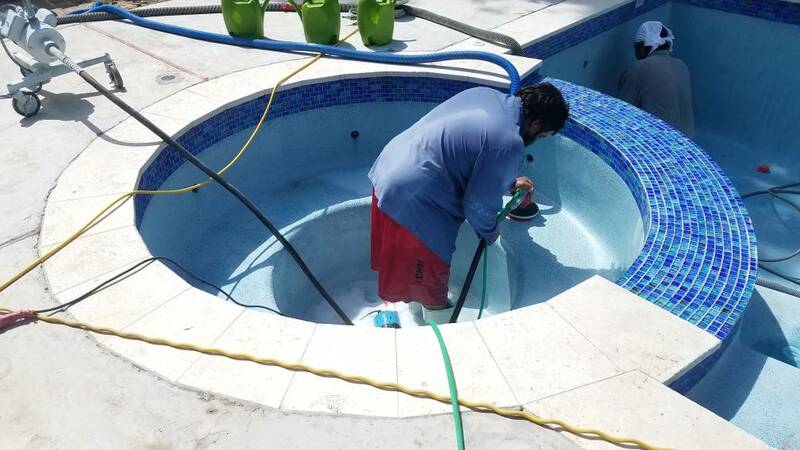 On the other hand, you don't necessarily want to interfere with water draining away from pool. If you decide to raise it, you might consider using something like large rocks to line the bed. That would keep the herbs out of overly damp soil, keep the mulch in, and allow the water to enter bed if it needs to. 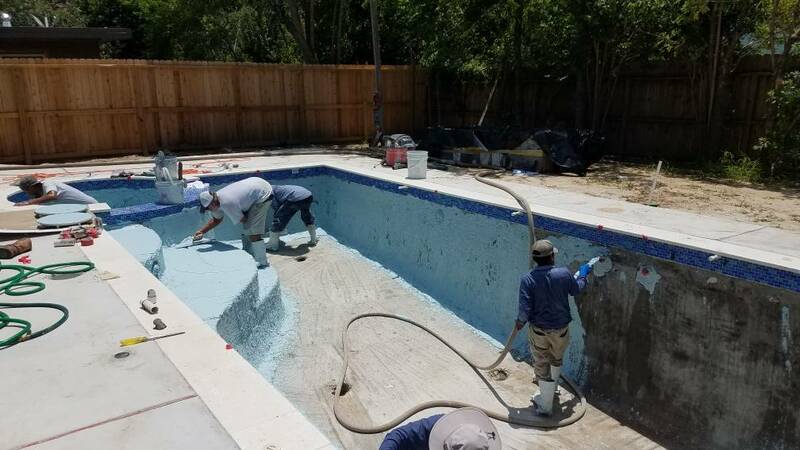 so finally finally after waiting for a while TOMORROW the plaster is scheduled and on Thursday the Primera Stone polishers will come out and then the pool can get filled. No rain in sight anywhere this week, so hopefully this will all go down as planned! 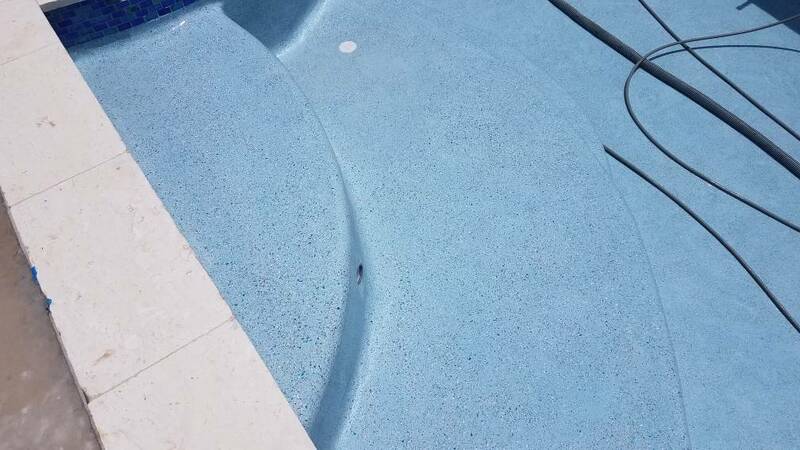 Doesn't really matter because no matter what reason, we continue to have to wait for our pool and more annoyingly we cannot get landscaping down and continue to live around a pile of dirt. All of the above. I feel your pain as I'm in the same pattern of delay after delay. Deep breaths! new date, friday plaster and saturday polish ... let's hope they come through this time. What you have so far is quite beautiful! Best wishes on the rest! Thanks for sharing the company's name as it may help others make informed decisions. WHAT??????????? It IS really happening!!! OH yeah!!!! Strike up the band!!! unkrock: Wow, it's even looking good at that point. 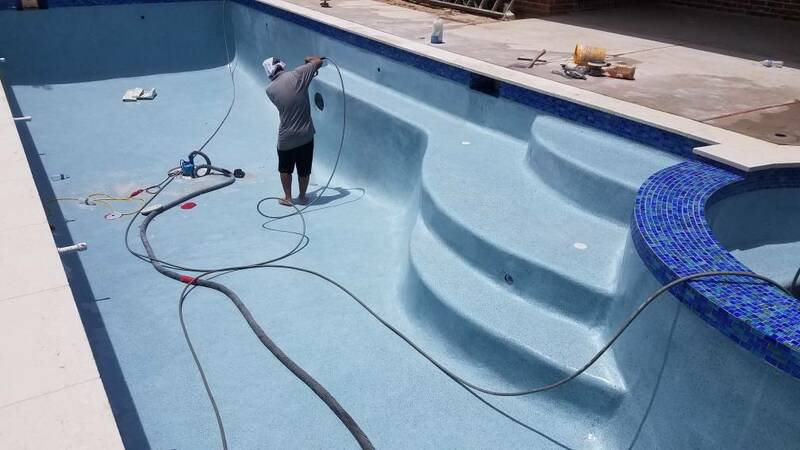 No fill pics yet because they are polishing the primera stone today. 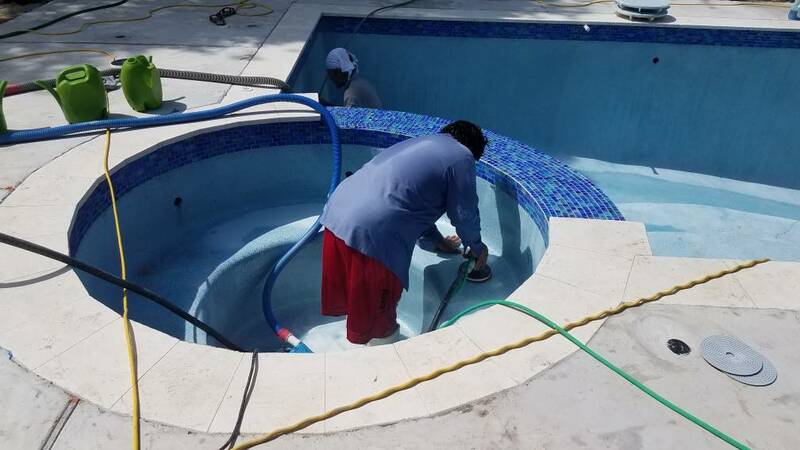 Five guys polishing down every inch of the pool. Fill will start once they are done. The PB didn't even come yesterday. 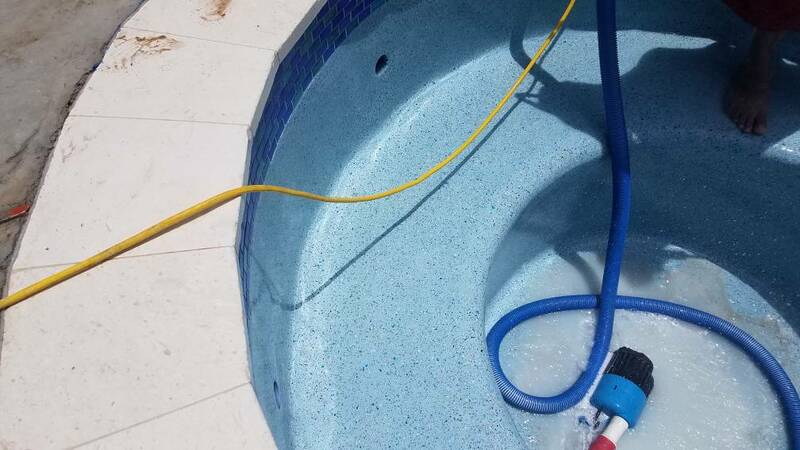 Luckily I had my camera positioned over the pool because I could see from work that they weren't going to chip out the small tile sample in the middle of the pool wall. I hopped in my car and drove over (only 5 mind away) and got them to chip it out just before they started plastering that section. The plaster guy said, good that you came because unless somebody tells us we won't chip out anything anything. Looks like they are really doing some good work there!! LOVE the color. 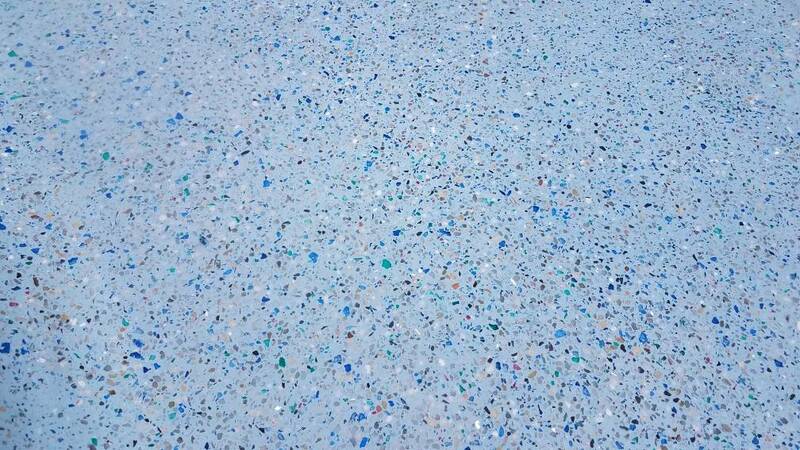 It goes so well with the BLING tile! Good catch on the sample tile. Glad you were watching!! Almost done. They are preshurre washing everything right now. Won't be long until they start filling it im sure!! The color looks a little bubble gum in some pictures but in the closeup you can really see all the polished rocks and glass pieces! I really like how that came out! You can see so much of the stone! Well done guys!!! 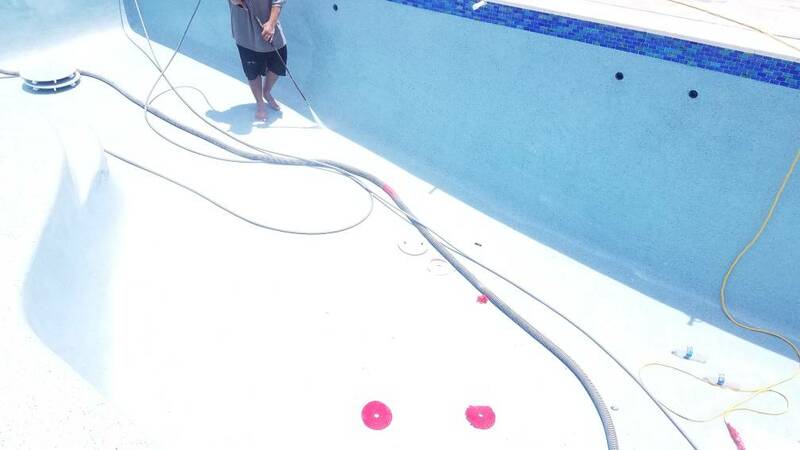 Pool is filling now. But per the city water meter it is going at 2.7gpm which seems slow? 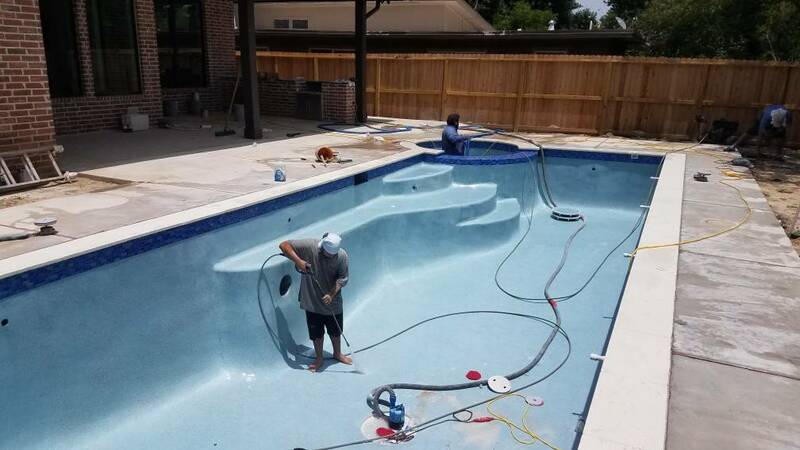 At that rate for our pool it will take upward of 80 hours. Is that normal? That is very slow. 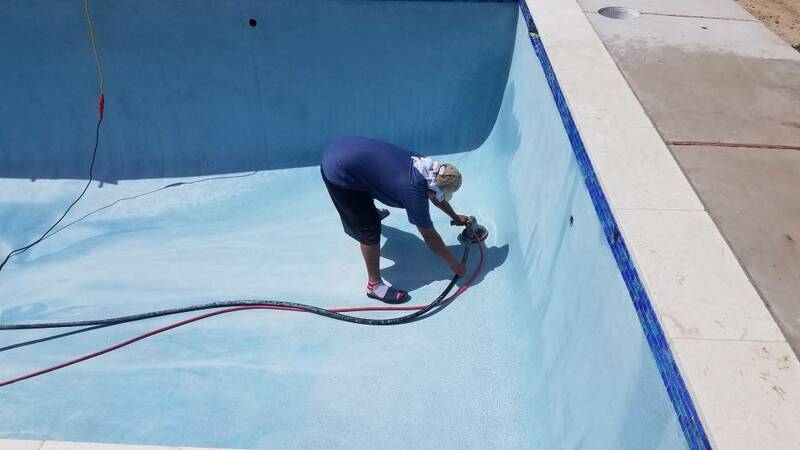 Do you have more hoses you can throw in there? 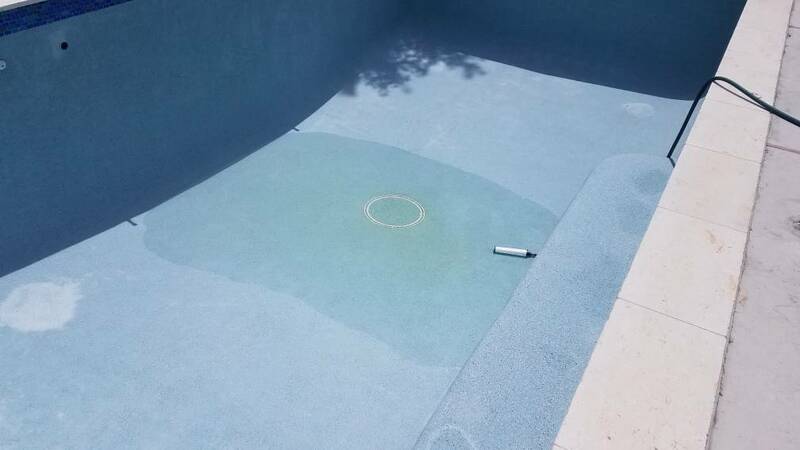 What is that on the end of the hose now? They put a water filter on it to remove any metals or other stuff femo the city water. I will briefly test if thr flow increases significantly without the filter.